We talk ancestral eating with Nicole and dive into the wellness brand combining the power of plants and the art of mindfulness in ready-to-eat meals delivered to your home. If entering into a state of ketosis has left you in a state of panic, you’re not alone. It’s becoming increasingly difficult to understand whether or not we should be eating like cavemen, not eating like Kate Moss circa 1997, or just focusing on plants, like, well, just about everyone these days. 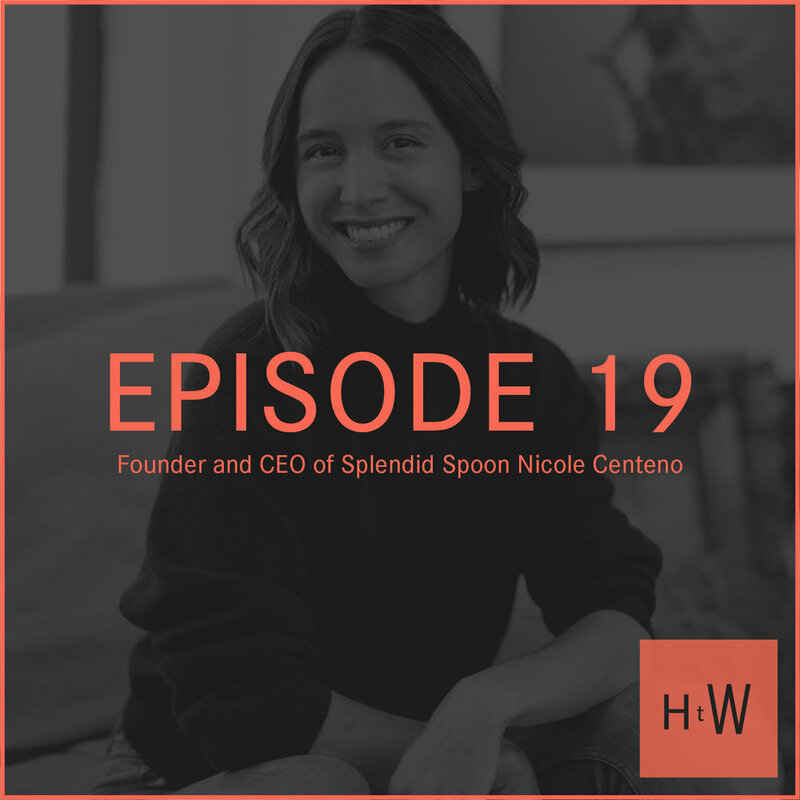 We sit down sift through it all with Nicole Centeno from Splendid Spoon. Nicole did a bit of studying in college and learned how ancestral eating and antient fasting rituals were used to treat people with epilepsy. In caveman days, if you binged on a pint of ice cream you would probably slip into a very long nap…and then you would wake up dead, because another animal ate you. So, if we’re not smart about what we eat – we’re probably not passing on our genes, ya know? We get into all of it: industrial farming, intermittent fasting, lectins, Blue Zones, dirt smoothies. …what?! You haven’t heard of dirt smoothies?! We also learn how Nicole, within 2.5 years: started a business, had a baby, got pregnant with the second, ended her marriage and wrote a book. Not bad, Nicole. Not bad. But did you do it all in heels? Psh. Thought so. Enjoy $20 off your first Splendid Spoon delivery with the discount code splendid.to/htwpodcast. Check out the two new Smoothies in the Breakfast line, Blackberry Basil & Carrot Ginger Chia!